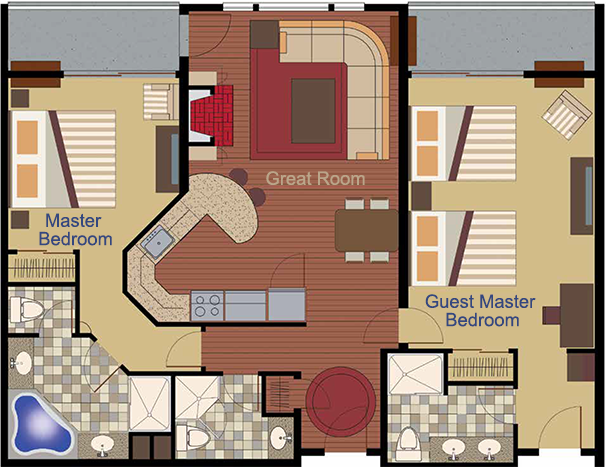 Each 2 Bedroom Residence consists of 1,359 square feet of indoor/outdoor living space. Fine furnishings, fixtures and amenities provide Owners with a luxurious carefree lifestyle while in residence. Accommodates up to 8 guests.